Coat barramundi with teriyaki sauce and wrap, skin side up, with half the garlic in aluminium foil. 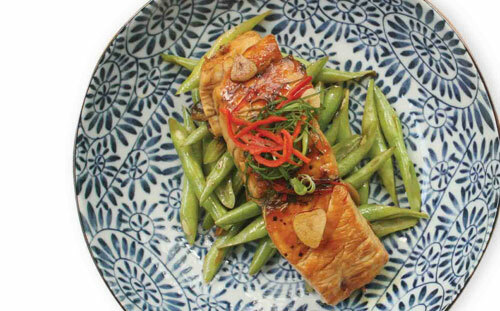 Bake barramundi for 20 - 25 minutes. Heat olive oil in a pan and sauté the other half of the garlic till fragrant. Add in the long beans and sauté till preferred doneness. 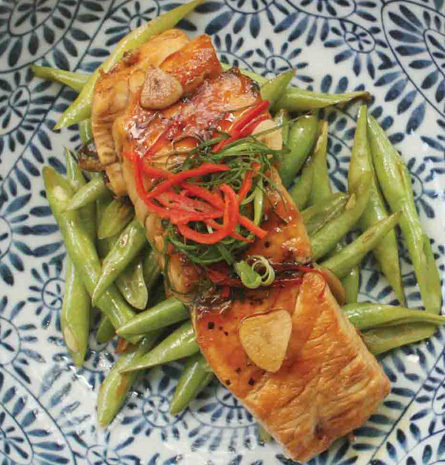 Serve barramundi with long beans and rice on the side.